In the brief release notes provided alongside iTunes 12.7.3, Apple touts compatibility with its forthcoming smart speaker, as well as user interface enhancements that should improve usability once the device sees release next month. "iTunes is now designed to work with HomePod. Use the improved AirPlay menu to easily choose HomePod and control what plays next with your Apple Music subscription." Apple includes a link to its dedicated HomePod webpage, which offers information about hardware specifications, design considerations, software compatibility and special features. Siri voice control and HomeKit integration are major selling points, but at least two hotly anticipated features, stereo sound with two HomePods and multi-room playback via AirPlay 2, will not be ready at launch. Earlier today, Apple announced HomePod will be available for preorder on Friday ahead of a Feb. 9 sales debut. The device was initially unveiled at the Worldwide Developers Conference last June with a promised ship date in December. Apple delayed launch in November, saying the Siri-powered speaker would ship in early 2018. 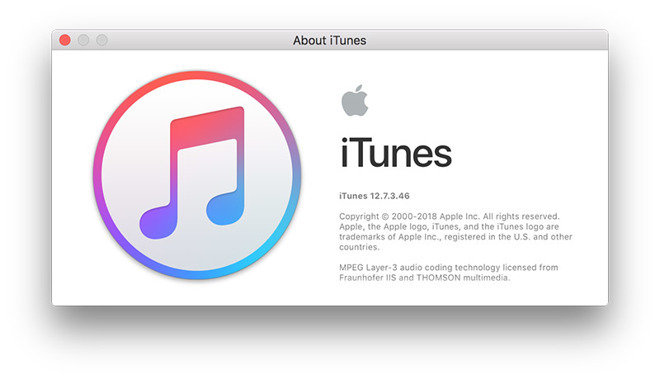 The latest version of iTunes can be downloaded through the Mac App Store.